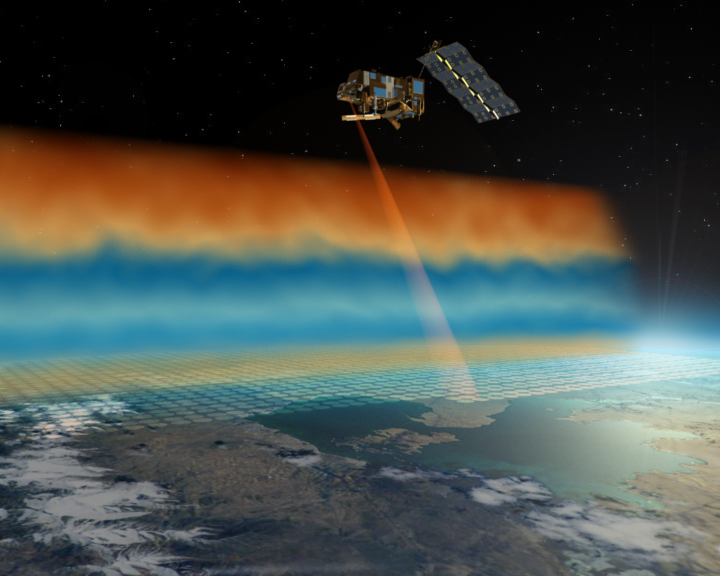 The Concordiasi campaign set to begin on 2 September aims to enhance our understanding of the air masses over the ‘White Continent’ and improve satellite observations. Balloon release during the Vorcore campaign from McMurdo research base in 2005. Credits: Cnes/ P. Cocquerez. The U.S. McMurdo research base is where the most important phase of the Concordiasi programme will be taking place. 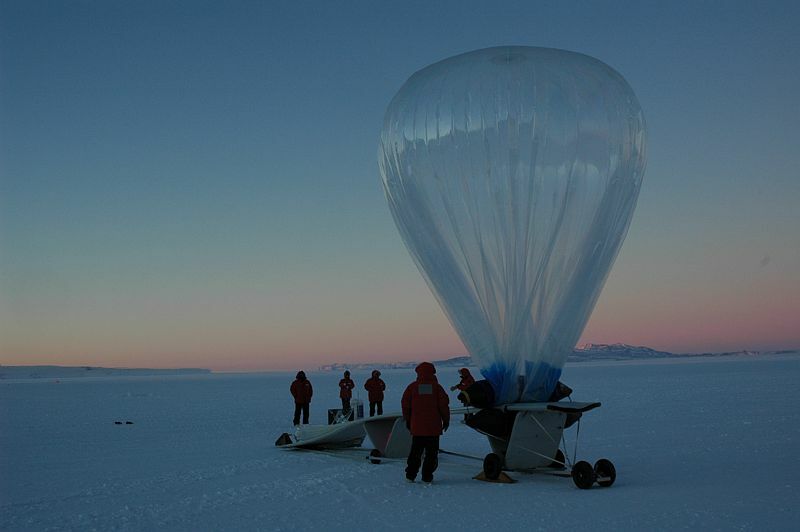 Starting on 2 September, 19 stratospheric balloons will be released to explore and measure the Antarctic atmosphere. Obtaining accurate measurements with the infrared spectrometer proves more difficult over Antarctica than anywhere else due to the cold temperatures and the clouds, which attenuate the signal. For this reason, the survey campaign will begin by releasing 650 dropsondes from 13 balloons over a period of 1½ months to acquire vertical profiles of the troposphere up to altitudes of 10-15 km. Some of the dropsonde releases will be timed to coincide with passes of MetOp-A and validate IASI’s measurements directly. 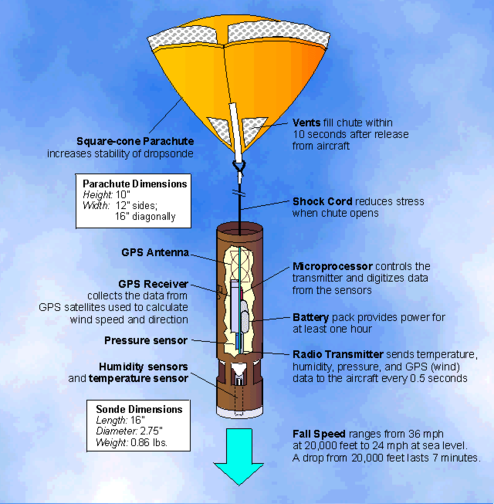 Dropsonde and parachute. Credits: ill. NASA. The 2nd phase of the programme will involve all 18 balloons. As they drift with the high-altitude winds, the balloons will collect data on temperature, pressure, ozone and aerosols using sensors on their flight trains. These data will help scientists to better understand the dynamic, chemical and microphysical mechanisms underlying the formation of the ozone hole and its big variations from one year to the next in this region of the world. The balloons are expected to stay aloft for 1½ months on average, but some could fly for up to 5 months. CNES’s balloon control centre in Toulouse. Credits: CNES. CNES will be responsible for flight control and data reception at its space centre in Toulouse. Meteo France will control the dropsonde measurements. 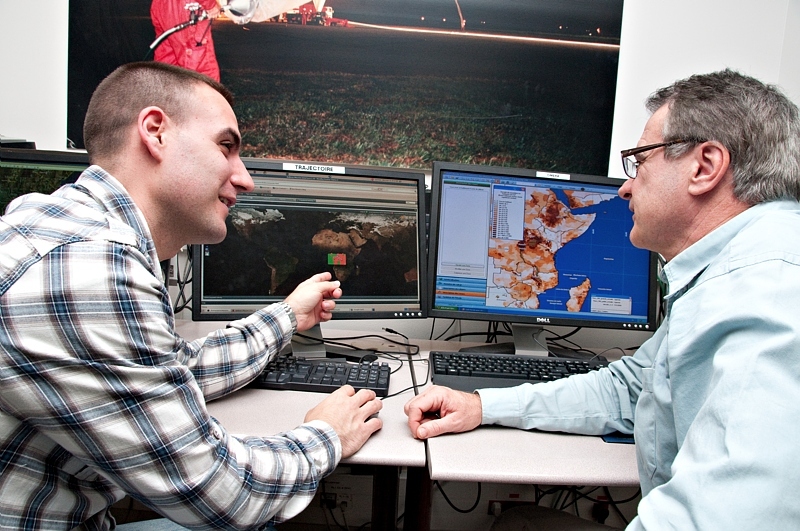 Data will be received at NCAR* in the United States, where ten members of CNES’s balloon team will be on hand to accomplish the mission, in which the NSF** and several U.S. universities are also taking part.